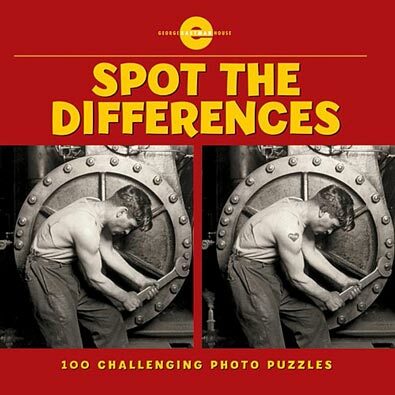 Spot The Differences is a fun photo hunt book with images from the acclaimed George Eastman House archive. You'll enjoy seeing stunning art of historical figures, famous buildings and more turned into 100 photo brainteaser puzzles. Two versions of each photograph sit side by side. They look almost alike, but one is slightly different from the other. Will you be able to spot the differences?